- Despite losing its star QB, McKenzie Milton to a gruesome leg injury in Week 13, UCF bounced back to win the American Conference Championship 56-41 over Memphis behind a six-total-touchdown performance from backup QB Darriel Mack Jr.
- UCF hasn't lost a game since Dec. 17, 2016, winning 25 consecutive games over this span. - Since 2000, only three programs have managed to win 25 consecutive games: Alabama (26, 2015-16), Florida State (29, 2012-14) and Miami (31, 2000-03). - Group of Five teams (UCF) have gone an astonishing 4-1 against Power Five opponents (LSU) in the previous five years of New Year's Six Bowl game slates. - UCF is just 3-17 against SEC opponents all-time, but 2-1 against SEC opponents in bowl-game matchups. With a win over LSU in the @Fiesta_Bowl , #UCF would become the sixth. All Fiesta Bowl prop bets and odds are available here via FanDuel Sportsbook. - Away Team (LSU) Total: 31.5 Points (-110) – LSU's recipe for success is practically the exact opposite of UCF as the Tigers win through defensive dominance rather than offensive track meets. Not to mention, Central Florida's defense has been flying under the radar in the shadow of UCF's explosive offense all season. The Knights are allowing just 23.2 points per game on the season – only 0.4 PPG more than LSU's highly-touted defense (22.8 PPG). Say what you will, but if UCF beats LSU they’re about to win back-to-back National Championships. 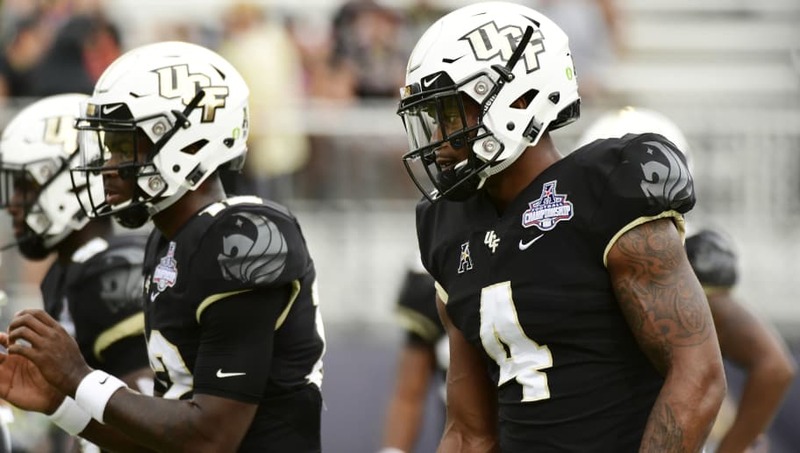 - Home Team (UCF) Total: Over 24 Points (-110) – Central Florida's 25-game winning streak is built around offensive firepower and success, and the Knights head into the Fiesta Bowl with the No. 5 scoring offense in the nation (44.7 PPG). Despite losing their star offensive catalyst in Milton for the American title game, the Knights still hung 56 points on Memphis with backup QB Darriel Mack Jr.